Do your trade show displays need extra muscle to install? Depending on the size and type of your trade show booth, show management may require use of professional labor services to install and dismantle your booth. Leave the heavy lifting for us! E&E Exhibit Solutions saves you the time and aggravation of locating a skilled labor crew, especially when the event is out of town. E&E Exhibit Solutions utilizes E&E trained and highly experienced professional labor services at competitive rates to set up and dismantle your display in all major trade show-heavy cities throughout the U.S. These labor crews have been extensively trained on all of E&E trade show exhibit lines, E&E provides them with detailed set-up instructions so your display is set up quickly and handled with care. 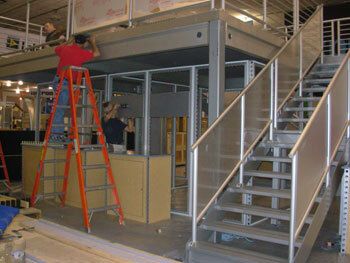 Packing and shipping your trade show display components to your location or to our warehouse facility in AZ.